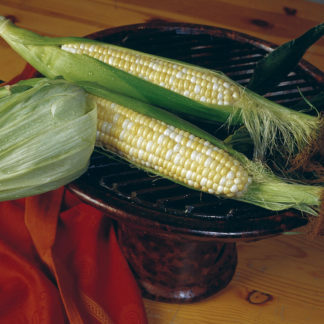 Bloody Butcher Corn is an all purpose corn. 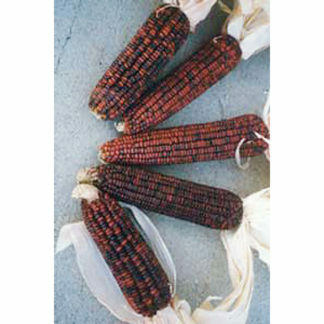 It is very ornamental with its red to maroon kernels on 8-10″ ears and mostly used for decoration. 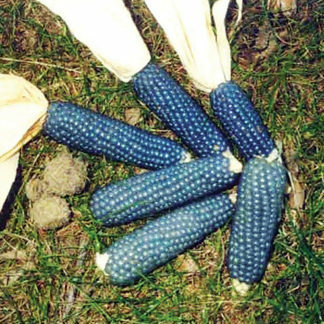 It can be eaten as corn-on-the-cob at the milk stage (when the kernels are full size and juicy but still white), but it is not as sweet as modern corn-on-the-cob hybrids. It is also a good variety for making flour and cornmeal and even moonshine. 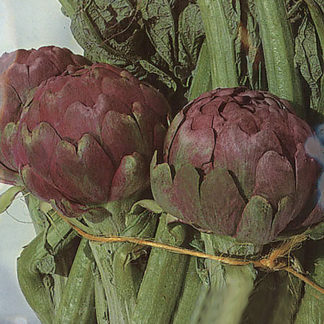 The plants are productive with 2-6 ears per stalk and drought tolerant. 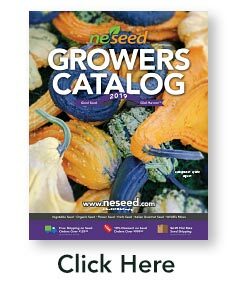 10-12′ tall plants. 110 days, mature.